What if you aren’t paid? While you can sympathize with their problems. (Yes I really do understand how important it was that you have a new big screen TV). BUT…This is a business. Just try paying YOUR home mortgage late and see how much sympathy you get. And banks probably have more money than you have. It’s your money and you are entitled to get paid back ON TIME. Of course people do have GENUINE emergencies and if someone has paid you on time every month for 3 years, you may want to cut them a little slack if they have a short term problem. But remember to add on those late charges. And don’t let it get too far behind. 2 months maximum. Try to get them to pay a reduced amount. But you are NOT a charity or their mother. If they can’t or won’t catch up you will have to file for a mortgage foreclosure. (Some states use Deeds of Trust rather than mortgages and a different foreclosure method is used. Ask your attorney). An alternative is for them to give you a Deed in Lieu of Foreclosure. This means that they deed you the property and you satisfy (treat as paid) the mortgage. 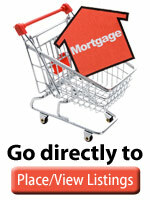 This is only effective if you own the first mortgage and there are no other mortgages behind yours. if there are you need to foreclose your mortgage or they will stick to the property title. So you will know what to expect, the following is what happens in Florida. (Other states will be similar, unless they are Deed of Trust States). Please note. This is intended for information only. We are not attorneys and different states can and will vary in what is required. Send the borrower a notice of default. Depending on the terms of your mortgage you may need to give the borrower a length of time to pay and you may need to use specific language. View a Sample Default Notice. It would be helpful if you could give them a copy of the last title search or title insurance you have. Plus a check for their fees. A Mortgage Foreclosure should cost about $1,000 plus court costs. (Obviously this varies. Some attorneys do them all the time and have the forms on their computers, other don’t. HINT. Go to the court house and look up some recent foreclosure files. See which firm(s) are doing foreclosures for your local banks. Special legal notes that may apply to second mortgages. Download a Microsoft ®Excel spreadsheet to calculate the profit or loss you can expect to make on the foreclosure (also available as an online calculator). Look for ‘Foreclosure Loss Analysis‘.